Machiel Buijs Electrical can pride itself in offering services to their clients on their complete electrical needs in the agricultural, horticultural and industrial industries. 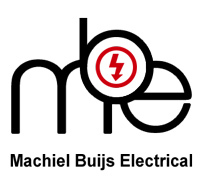 Machiel Buijs Electrical started its roots in an older established company. Mr Machiel Buijs (Snr) started working as an electrician in the flower and bulb industry in Holland where he worked in his father’s business who himself was an electrician and also had an electrical wholesale shop. He immigrated from The Netherlands to South Africa in 1967 and on 1 March 1970 started his own companyl. In 1995 his two sons Machiel and Hans acquired the business from their father and since then it has grown into two sperate companies of which Machiel Buijs Electrical is one. Machiel Buijs Electrical can pride itself as an electrical leader in the in the greenhouse, farming and industrial sectors, with the knowledge and experience M Buys Electrical acquired since 1967. Machiel is a qualified and registered electrician and has his N6 technical college diploma. Machiel Buijs Electrical has kept up to date with the newest technologies and applied it in South Africa and our neighbouring countries. Machiel Buijs Electrical can offer from the simplest electrical installations to the more personalised high-tech electrical solutions. Although generators are not our core business we offer and install high quality generators (Volvo, Perkins and Scania with Marelli alternators) as part of our services to our clients. Machiel Buijs Electrical is an authorised Netafim™dealer and a supplier of Zest WEG motors and varialble speed drives and can offer you complete climate and irrigation solutions for your tunnels, greenhouses climate control. © Copyright 2019 Machiel Buijs Electrical. All Rights Reserved.